I'll move to france so i may or may not die in the plane. 95% of the time, everyone dies. Ooh a PC Engine emu, I'll try it soon. Off-topic question: Is the PC Engine called PC Engine in Europe too? I though it was only in Japan. In United States and Canada, the NEC PC Engine was renamed to Turbografx-16. Also question gameblabla if you don't mind: Where did you live right now? I always wondered since I thought you were always in France, not in another country. ANyway good luck with your move and I hope you can get Internet access and free time again afterward. Still the probability that something happens on the plane is lower than that of being attacked by a shark at the beach. What if you get attacked by a shark while inside the plane? I didn't think of that possibility. But what if a walrii attacks your plane? It should work on your calc because critor was able to run it on his own Nspire. I'm warning you though, because it is not that fast. Guadeloupe, French Caribeens, i live there. I hope too i can get Internet access soon after i landed. I'm trying to make a small game before i'm leaving this place , 2 hours left damnit ! It is a little game i made in about 4 hours. Gameblabla took the plane but he is still not safe !!! Avoid the flying sharks and discover the truth behind this ! Do you mean if we type http://quantuminfinity.space/WalriiHack/ script while watching the video? I did a quick fix, one of the sharks could not hit your plane. And I see. I'll download it again now. Turns out i have some free time before taking the plane so i did a small update. I have improved the performance and improved the controls. Nah, i like my name, maybe you will understand why. i'm back and i'm (thankfully) not dead and made it in one piece. I only did a small update to Oswan (and soon Potator) that makes the menu a little better to control. because it has a fast PCE core and it can emulate CD games from iso files unlike Hugo. 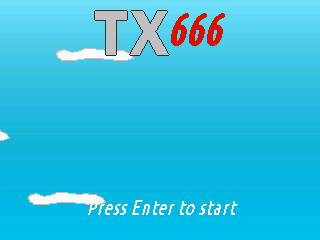 I'll improve TX666 as well, if i have any ideas to make it better.